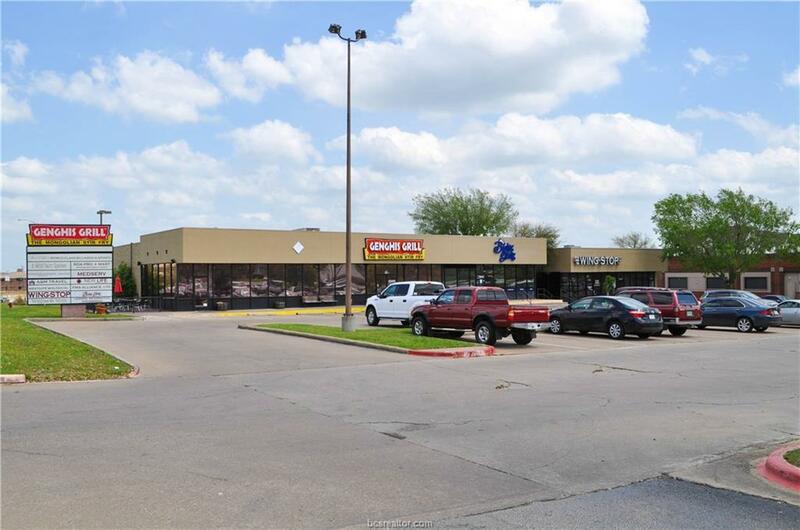 Retail center with great visibility from University Dr. Just a few blocks away from Texas A&M University campus - 2018 Enrollment: 68,625 students! 2017 TxDOT average traffic count - 42,013 VPD. 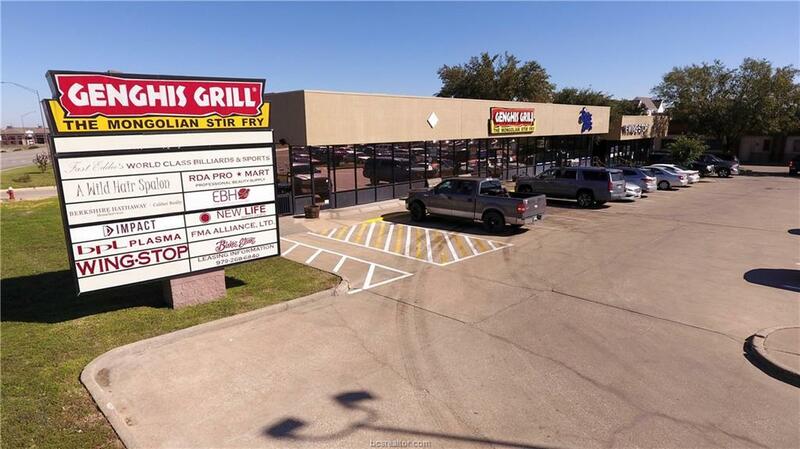 Located adjacent to Genghis Grill, Blakes Steaks, and Wingstop. Excellent access to neighboring developments. Large signage available on building facade and on pylon sign fronting University Dr. New Durolast roof in 2018. Landlord to install New HVAC system! Listing information © 2019 Bryan-College Station Regional Multiple Listing Service. Listing provided courtesy of John R Clark of Clark Isenhour Realestate Svcs.